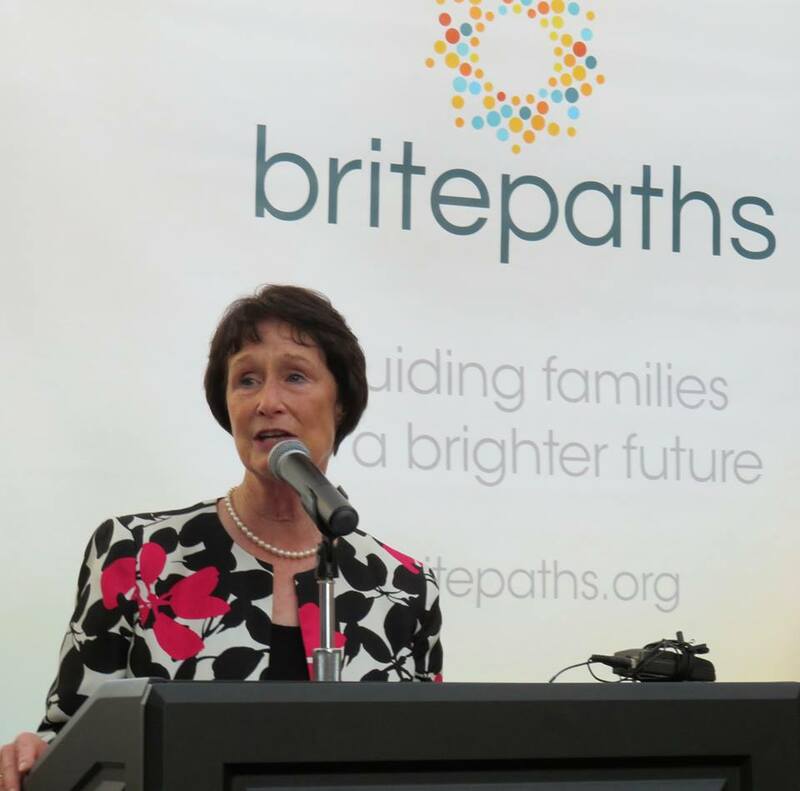 On the evening of Thursday, July 21, Our Daily Bread's Board and Staff gathered with supporters, public officials, community partners and a host of friends to unveil and celebrate our new name and brand: Britepaths! We are grateful to Fairfax County Board Chairman Sharon Bulova for serving as our keynote speaker, and to our wonderful Project BRIDGE client Teresa and her awesome volunteer Financial Mentor Martha for sharing their story and speaking about what our organization's work has meant to them. An extra-special thanks to The Tower Club of Tysons Corner, which has chosen us as their 2016 charity partner, for hosting our launch. Be assured that our mission and work to help struggling families in the Fairfax County area move from a place of need to self-sufficiency remains the same. Our Programs have long been geared toward Stabilizing Families (Food Bridge and Financial Assistance) as they work through a crisis. As we have grown and evolved over our 32 years, we have added more in-depth services that promote self-sufficiency and Build Resilience: Financial Education and Mentoring, Project BRIDGE and Naomi Project. Our Seasonal Supports, Back to School and Holiday Assistance, provide help and hope to families who are struggling to pay for basic necessities. Our new name helps clarify that our work and the solutions to the problems our families are facing are multi-faceted. Our hope is this new beginning will guide us to even greater opportunities to do more for our neighbors in need.